Sometimes I get to busy that I lose out of touch. But I hope that doesn't break the connection between us. After all friendship couldn't end in silence. 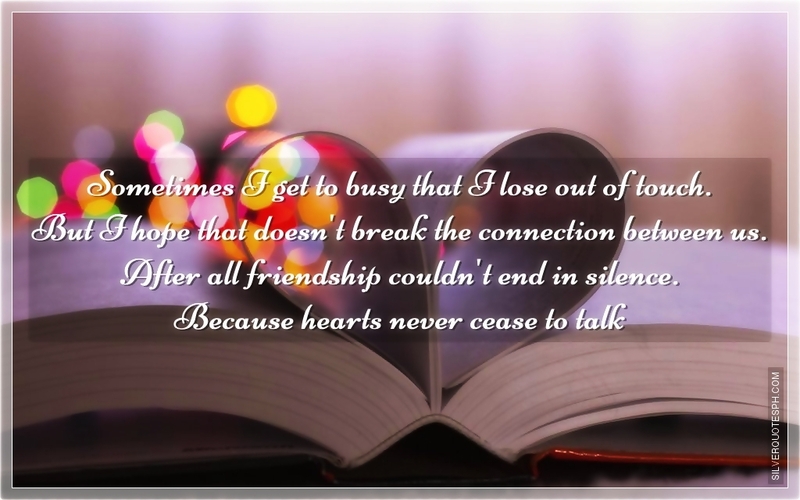 Because hearts never cease to talk.